(Reuters) – Chicago soybean futures were little changed on Tuesday after closing marginally higher in the last session amid Chinese buying, but ample global supplies kept a lid on the market. Wheat edged lower, while corn prices gained ground. The Chicago Board of Trade most-active soybean contract had gained 0.03 percent, or a quarter of a cent, at $9.18-3/4 a bushel by 0255 GMT. Wheat slid 0.2 percent to $5.24-1/2 a bushel. Corn gained 0.1 percent to $3.79-3/4 a bushel. “Development about Chinese buying is supporting prices but there is plenty that can go wrong with the U.S.-China trade dispute,” said Phin Ziebell, an agribusiness economist with the National Australia Bank. The U.S. Department of Agriculture (USDA) on Monday confirmed private sales of 612,000 tonnes of U.S. soybeans to China. The volume was lighter than expected after traders said on Friday that the world’s top soybean buyer had booked at least 1 million tonnes. The Chinese state agricultural conglomerate COFCO Group said on Saturday it recently purchased a batch of soybeans amounting to “millions of tonnes” from the United States. U.S. President Donald Trump said last week he would meet Chinese President Xi Jinping soon to try to seal a comprehensive trade deal as Trump and his trade negotiator both cited substantial progress in two days of talks. As for supply, crop forecasters have been cutting their Brazilian soybean harvest outlook for weeks as hot, dry weather in parts of the country has hurt yield prospects. 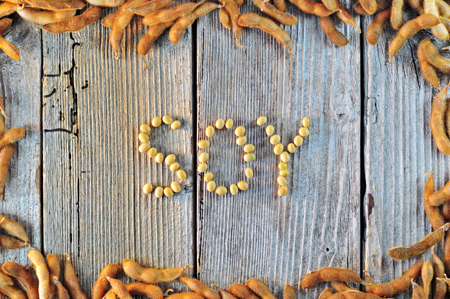 Still, the crop is expected to be among the largest ever produced by Brazil, the world’s top soy exporter. Brokerage INTL FCStone lowered its estimate of Brazil’s soybean crop on Friday to 112.2 million tonnes, down 4 million tonnes from a forecast last month. U.S. soybean crushing in November likely totalled 5.309 million short tons, or 177.0 million bushels, according to the average forecast of seven analysts surveyed by Reuters ahead of a USDA report. Soy crush estimates ranged from 176.4 million bushels to 177.2 million bushels, with a median of 177.1 million bushels. A rise in Russian wheat export prices stalled last week after three weeks of growth as the country lost a major purchasing tender in Egypt, its largest wheat buyer, analysts said on Monday. Egypt’s state grain buyer GASC bought 360,000 tonnes of French and Romanian wheat in its tender last week. The Russian wheat on offer was too expensive to be competitive. Traders are awaiting Friday’s supply and demand forecasts from the USDA for any further revisions to U.S. soybean supply in view of the Sino-U.S. trade dispute.